Formed in 1994 by RYO-Z, ILMARI and later PES, who was a school friend of ILMARI’s, RIP SLYME began when the trio plus the two DJs, SHOJI and SHIGE, won a rapping contest “Young MCs In Town.” Their name has three meanings: RIP from the initials of the three MCs, Slyme from a popular children’s toy in the early 90’s and as a whole a pun on the phrase “Lip’s Rhyme.” This phrase would later become the title of their first mini album in 1995. By 1998 the current RIP SLYME line up was complete. DJs SHIGE and SHOJI departed to be replaced by DJ FUMIYA, who had worked with SPEED and SU, a friend of ILMARI’s older brother. 1999 saw the first major exposure for the group after being chosen to appear in popular hip-hop group Dragon Ash’s Total Music Communication tour. This exposure caused RIP SLYME to catch the attention of Tanabe Agency, an agency responsible for high profile names such as Tamori. They subsequently joined Tanabe Agency in 2000. A mere year after the association with Dragon Ash, Warner Music decided they liked what they heard and signed them to a major record deal. Their first major single, STEPPER’S DELIGHT, is a pun on the Sugar Hill Gang’s Rapper’s Delight. The ensuing seven years would see RIP SLYME become one of the foremost hip-hop groups in Japan. Their album Tokyo Classic in 2002 became Japan’s first million selling hip-hop album, something that MTV would later recognize in awarding them both Best Newcomer and Best Hip-hop Group. The following year, RIP SLYME won more awards: Best Video of the Year for Rakuen Babe and Best Hip-hop Video for Funkastic, both from the million seller Tokyo Classic. Also in 2003, Nike chose STEPPER’S DELIGHT to be featured in a TV commercial shown throughout Asia, the first Japanese artist to ever be featured. Their refusal to be American hip-hop copycats together with the mixing of various elements and through collaborations with artists as varied as Pizzicato Five and Quruli have marked them out to be a highly interesting and innovative band. In addition to these collaborations, the members are all active in their own side projects. Famously, ILMARI and RYO-Z are also members of Teriyaki Boyz, the BAPE/Nigo project that also includes Verbal from m-flo. In 2003, RYO-Z and DJ FUMIYA formed a production unit named Oshare Track Factory (O.T.F). As a result of O.T.F’s call for auditions to form a female hip-hop unit, HALCALI was formed. In 2005, RIP SLYME released their first compilation best-of album Good Job. 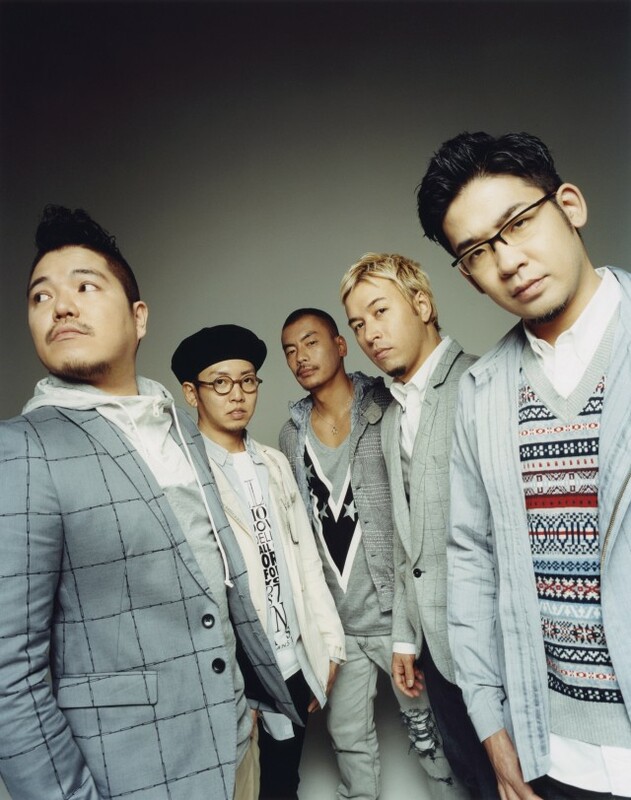 Unfortunately, after this release, DJ FUMIYA went on hiatus citing illness until summer 2006 and a friend of the band, DJ Soma, stood in for live performances. Despite this, the interim saw some interesting collaborations for RIP SLYME, most notably with Hotei Tomoyasu for MTV’s mash up project. The track combined RIP SLYME’s Funktastic with Battle for Honor or Humanity. FUMIYA returned for the outstanding Blow in summer ‘06 and RIP SLYME resumed normal activities with a new album Epoch. Since FUMIYA’s return, the group has continued to go from strength to strength, making ever more of an impact on Japan’s music scene. Epoch was followed by the albums Funfair, Journey and more recently STAR, which followed two best-of albums in December 2010. They are also appearing on a Hotei Tomoyasu 30th anniversary tribute album. The band is as used to playing arenas like Nippon Budokan as they are playing smaller ZEPP livehouses, such as on their Dance Floor Massive tours in livehouses across Japan, the impact of the band can be seen in their frequently sold-out shows and accolades from MTV Japan. In 2008, they were part of Live Earth where they performed the single, Nettaiya. It was also recently announced that they are to perform at one of Japan’s mega festivals, Summer Sonic, where RIP SLYME are to be the second billing of the night, just before Ne-Yo who is the headliner and performing after more internationally famous acts such as Tinie Tempah which shows the important position RIP SLYME have established in the Japanese music scene.